Tartan Fairytales : Marc Jacobs Blue Velvet Nail Lacquer Review! 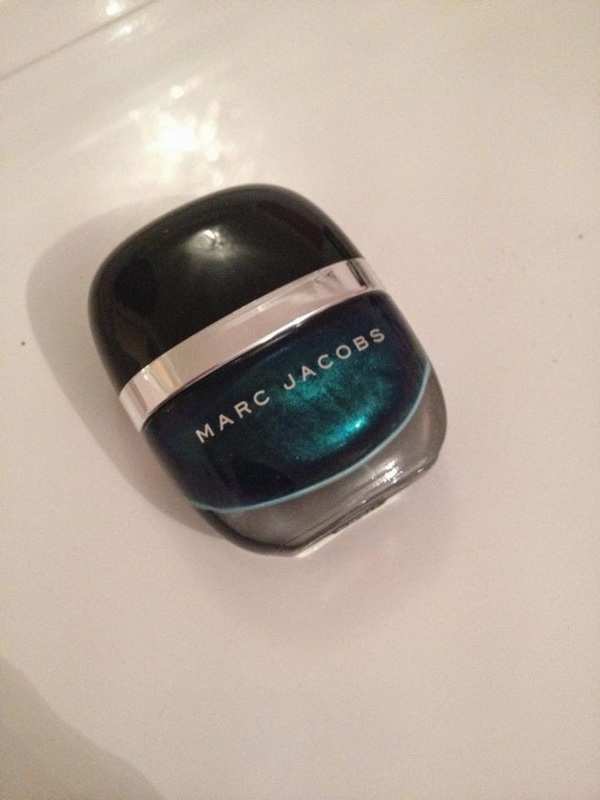 Marc Jacobs Blue Velvet Nail Lacquer Review! Hey guys! First post of April, I legit can not believe it is April already, nuts! What better to start April off than with a little review? So back in October my best friend's mum brought me this nail polish back from New York as part of my birthday present. I was so excited as I had never had a proper high end nail lacquer before. (Unless you count OPI and Essie, do you?) It is such a metallic blue colour, I remember that I could wait to try it. Then the other week as I was going to do my nails again I came across this polish and could not remember why I never used it again. I quickly realised why. The gorgeous colour that the bottle shows, is not transparent onto my nails. It was definetely just a normal dark blue colour, which in honesty was nice. But it was a major let down from what the bottle conveys. And this was the better hand. (Apologies for the state of my nails, damn acrylics). I honestly could not believe how easily this chipped. Serving people in work like this was not a good look! If this was a £3 nail polish then I probably wouldn't mind. However this is Marc Jacobs. MARC JACOBS. I would never expect such a high end brand to come out with such a poor quality product. The packaging of the polish is beautiful but the price for this was $18. Definitely not worth that for just pretty packaging. I feel like bad quality products for such high end brands can be damaging to the brand in itself as people obviously expect the best. The consistency and colour were just very disappointing, sorry to be a Debbie Downer! 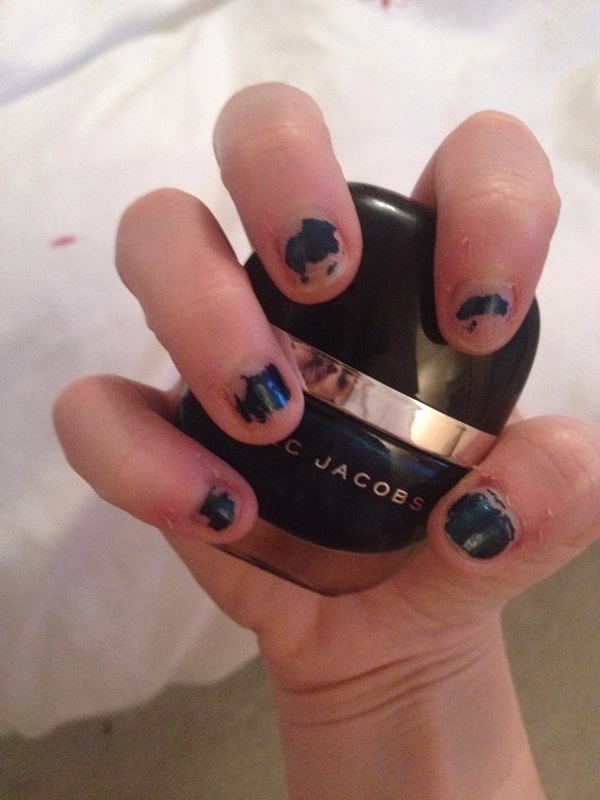 So that is what I thought of the Marc Jacobs Lacquer! Do you own any of these? Or even this one? I'd love to know your take on them if you do! Book Club - Blog Style, Take 2! Lauren Conrad Beauty & Style Books!